THE SEVERN RIVER COMMISSION 2013 - 2014 Biennial Report INTRODUCTION The Severn River Commission (SRC) was established in 1985 by Resolutions of the County Council of Anne Arundel County, Maryland, and the Annapolis City Council, and extended indefinitely in 1989. In 2000 the Anne Arundel County Ethics Commission concluded the Commission is a County agency, its members were considered “employees” and are subject to the Ethics Laws. In 2012, County Council Bill 70-12 removed the “employee” designation. Seven voting members are appointed by the County Executive and confirmed by County Council; two are appointed by the Mayor of Annapolis and confirmed by the City Council. All nine voting members volunteer their time and work without compensation. Ex-officio members represent DNR, County Council, City Council and General Assembly. The Severn River Commission, designated to "provide counsel and advice to Anne Arundel County, the City of Annapolis, and the State of Maryland on environmental and other matters within the Severn River Watershed," focuses on study of and recommendations on policies, rules and regulations to protect the Severn River and its watershed, including comments on relevant existing State, County and City procedures. The required biennial reports, submitted to the Anne Arundel County Council and the Annapolis City Council, focuses on the Commission’s primary undertakings over the past two years. COMMISSION ACTIVITIES In its role as advisory body to State, County and City activities, the Severn River Commission has been involved in legislative, policy and regulatory procedures concerning critical and decisive issues affecting the well-being of the Severn River, its watershed and residents. As outlined in the Commission’s bylaws, the considerations in "environmental matters shall include but not be limited to natural resources, water and air quality, groundwater, noise, energy sources, wildlife, and other natural aspects of the environment, and the relationship of health to ambient environmental quality." The SRC addresses questions relevant to private and public consideration and strives to strike a balance between governmental necessities and civic considerations on issues critical and decisive for the well-being of the Severn River, its watershed and its residents. ETHICS The SRC was informed that as a result of County Council Bill 70-12, Commission members were no longer considered “employees” of the county subject to the county ethics law as they were prior to the passed legislation. As a result, the County Ethics Commission would no longer be able to give advice on ethics matters. The County Law Office would be the contact for such questions. JABEZ BRANCH Of the many issues that SRC has been engaged in over the course of its existence, none have consistently interested its members more than the issues affecting the Jabez Branch. SRC identified sediment / scouring problems for a number of years in portions of Jabez Branch (referenced as Jabez 3) as a result of uncontrolled stormwater runoff from I-97 and Rt. 32 that was deposited at the headwaters of the Severn River. Although in 2007 SHA issued a report recognizing areas of concern, the SRC’s impression was that not much was done to address the problems. The SRC and private citizens kept up the pressure on SHA and in 2014, SHA with the concurrence of Anne Arundel DPW agreed to participate and be party to a “stakeholders” group that has an interest in the Jabez Branch. The SRC as well as EPA, MDE, DNR and SRA agreed to participate. With the hiring of a consulting firm, SHA has established a timeline for reports, activities and actions to be taken for restoration and corrective action. It seems funding is also available. Considering the magnitude of the repairs to be done, it will be years before the project is completed and Jabez Branch will begin returning to normal, natural conditions. The SRC is a body with long-standing credibility and historic knowledge and is able to continue to stay informed and keep the different agencies’ feet to the fire. SEVERN RUN – STORMWATER MANAGEMENT The SRC recognized that uncontrolled stormwater runoff resulting from compounded sources has reduced Severn Run to a “culvert” for stormwater runoff impacting the Severn River. The cooperation of SHA, DNR, MDE and the County is needed. SRC recommended that DNR take the lead in preparing and implementing a restoration plan to return Severn Run to its natural state. A letter to that effect was written to DNR in June, 2014, but no response has been received. Also, the County Public Works Department has initiated a restoration project to a failed streambed across from the Millersville Post Office, as a direct result of pictures shown at SRC of severe erosion. ANNAPOLIS Marine Water Quality/ No Discharge Zone (NDZ) The SRC is on record with a letter to the Mayor dated back to 2010 supporting the idea of taking several steps to improve Annapolis marine water quality, including eliminating pumpout fee, improved management and information and, establishing an EPA authorized NDZ in Annapolis waters. The City has been slow to act on that recommendation. Recently the Annapolis Environmental Commission adopted its own formal resolution to that effect and it is moving forward in City government. Utility Fund Allocation Commission member Riegel addressed the City Council encouraging the allocation of the City’s dedicated storm water utility funds be directed to areas of highest priority for water quality rather than routine management and tenuously related city dock improvements. NAVY / GREENBURY POINT The SRC commented positively on the proposed management of the sensitive natural resources on the navy property at Greenbury Point. AACO BILL 93-12, CRITICAL AREA The SRC supported the legislation to revise the Anne Arundel Critical Area legislation in order to bring it up to the required state standards. “maturity” the oysters are planted in designated areas of the Severn River. The SRC is kept up to date on all aspects of the oyster restoration efforts and is grateful that one of its members is so involved. WEBSITE The SRC maintained a website http://www.aacounty.org/SevernRiver that describes the Severn River, its natural resources and history, its environmental problems and the role of the Severn River Commission. The website is hosted by AACo and includes meeting minutes and biennial reports. Larry Tom, Kelly Krinetz, Courtney Wilson Anne Arundel County Department of Planning & Zoning Environmental review in Critical Areas, buffers and Uplands. Chris Phipps Anne Arundel County Department of Public Works Environmental review of Picture Spring Branch, Odenton sewage line. Ginger Ellis Anne Arundel County Department of Public Works Watershed Protection and Restoration Program Stormwater remediation fees and proposed projects in Severn River watershed. 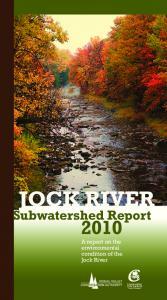 Report "THE SEVERN RIVER COMMISSION Biennial Report"